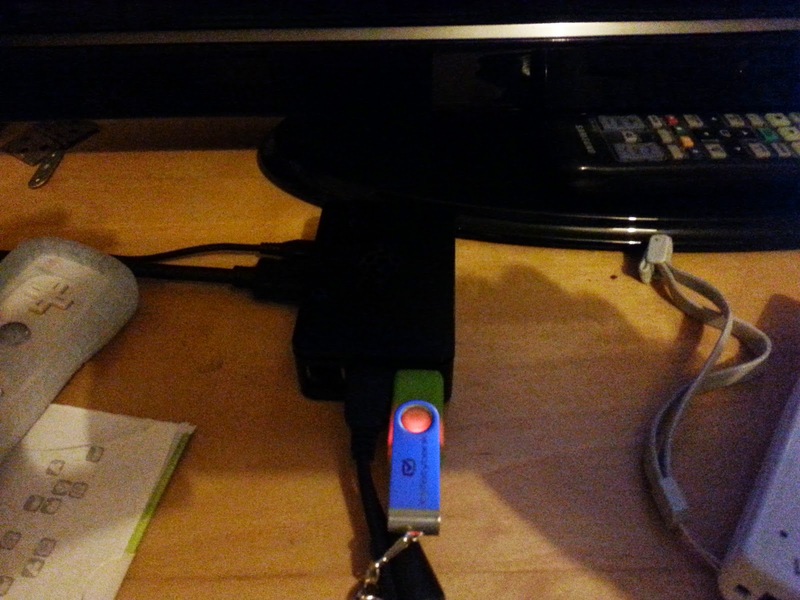 The Blog of Thog: The Pi lives! My Raspberry Pi, after a few weeks tinkering and playing, is now fully alive and serving a purpose! This is a bad photo of the Raspberry Pi. But I can't seem to make it take a good one. It is a small rectangular box, after all. If you don't know what a Raspberry PI is, it's basically a dinky computer that you can use for all sorts of things - I first got to play with one at a Raspberry Jam in November. 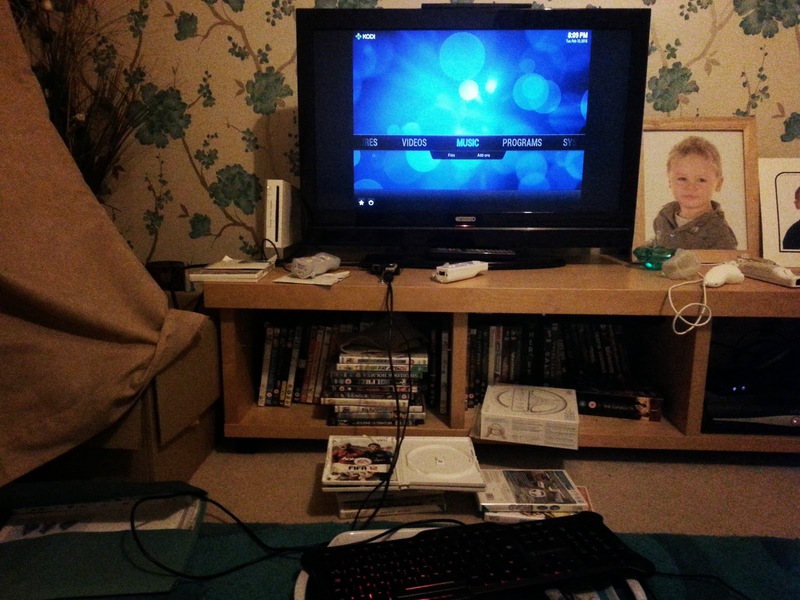 I've got mine hooked up to the TV downstairs to work as a media server (using RaspBMC), so I can basically connect up my media to the Pi and it'll play it on the TV. I'm probably hideously old fashioned but I don't actually have a home network, but that's next on the to do list. I also want to get a powered USB hub so that I can plug in more USB things into it - one of the things I want to do is plug in a couple of joypads (or are they called controllers nowadays) and play some games on the thing. For a little while I was kinda annoyed that they have just brought out a new Raspberry Pi 2, which is faster and better than the original (and it came out 2 months after I got mine), but apparently the new one resets if exposed to the flash from a camera, so I feel good about that. Although apparently you can solve the bug with a strategically placed pellet of bread, which sounds a solution bizarre enough for me to want to try it! Do you have a Pi? If so, what do you use it for? If not, would you get one?